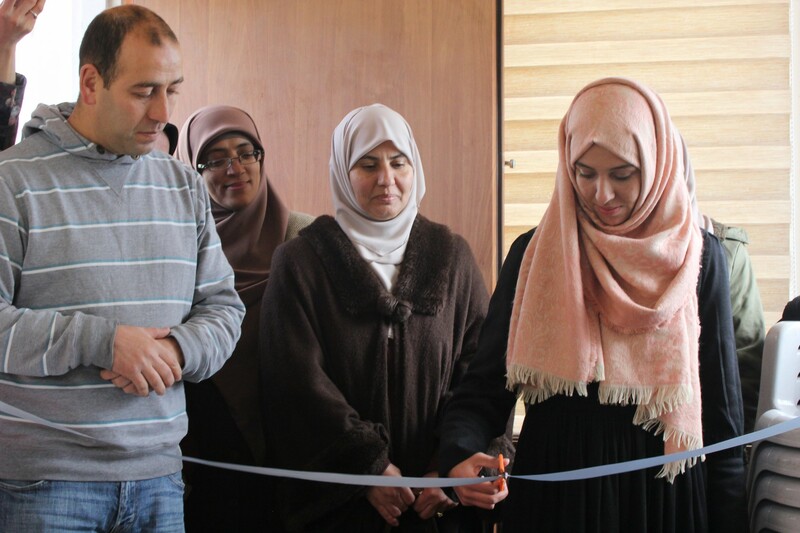 Burj Al-Luqluq Social Center Society wrapped up its activities for 2016 on Thursday 29/12/216 with “Remind of Jerusalem” Exhibition for the Jerusalemite young ladies Zeina Qatmirah and Al-Yatima, within Live the Burj “Your Second Home” project, funded by the Arab Development Fund through the Islamic Fund for Development and under the supervision of the Welfare Association. The exhibition included quotations about Jerusalem in general and Al-aqsa Mosque in particular written on cups and plates by Zeina, in addition to traditional Palestinian embroidery prepared by Al-Yatima. It is worth mentioning that more than 200 people attended the exhibition. The project coordinator Ahmad Jaber opened the exhibition and welcomed the audience. He explained that the aim of this project is to support the Jerusalemite young talents through organizing exhibitions for them and providing them with all the tools needed. Zeina Qatmirah expressed on her behalf that the idea of the exhibition started when she was kept away from entering Al-Aqsa Mosque for more than one year and her name was added to the black list. Thus, she wanted to prove that keeping her away has brought her more close to Al-Aqsa Mosque.